GIVEAWAY. After holding a few giveaways for international readers, I'm holding one for my local readers (read : fellow Indonesian). Before talking about the giveaway, I'd like to introduce you to my lovely sponsor, Dskon.com. It's an online portal to help us collecting, categorizing, and updating the latest discount from so many online shops. Yeah, it's the famous Indonesian brand for shoes, UP Shoes! Just follow the rules below to enter this giveaway. 3. Like Dskon.com's Facebook Fanpage. 1. Leave a comment on Dskon.com's Facebook Fanpage (Maximum comments are 3). 2. Like and comment on Miss Oline's Giveaway Banner (Maximum comments are 3). 3. Sharing Miss Oline's Giveaway Banner (I can check it from the share button). 4. Follow @Dskon_com and @CarolineSiao on Twitter (Don't forget to tell me your twitter name please). 5. Tweet this : " I'm entering #missolinegiveaway by @CarolineSiao and @Dskon_com to win a pair of UP shoes! 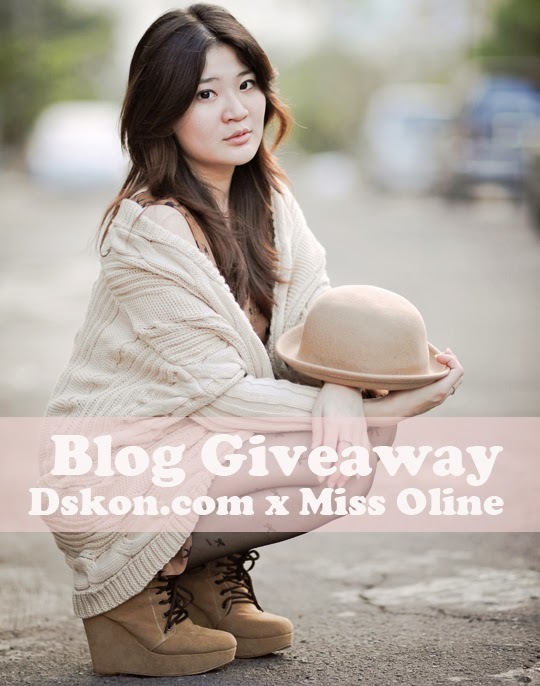 #Dskoncom #missoline "
The giveaway will be closed on 13th of June. Any entries received after the contest has closed will not be included. Woohoo! I adore UP shoes! Joined your giveaway and done all things except following your Lookbook (i don't have Lookbook acc). Aww what a nice giveaway! That photo is sooo beautiful. Really awesome giveaway. Wish your local readers good luck!!! Hello, thank you for commenting and giving me a notice on my blog about this! seneng banget ada giveaway yang hadiahnya sepatu UP, soalnya belum punya sist, wish me luck,tapi aku gak punya booklovin sama lookbook, smoga masih berkesempatan buat menang. Thanks for your comments. 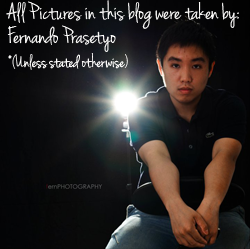 I am now following your inspiring blog <3 Very interesting giveaway ! Lookbook : Meisza Adilla H.
Name : Ken Raras Cestyakara F.
Done all the steps above! homes, brains begun concoct original inventions not to mention involved with the entire replacement occasions with tandoor.